The Rod Hutchinson Enduro Pod is made of lightweight aluminium with a black oval tube body, making it sturdy and strong. The body itself is 52cm extending to a length of 92cm to cater for varying lengths of rods. 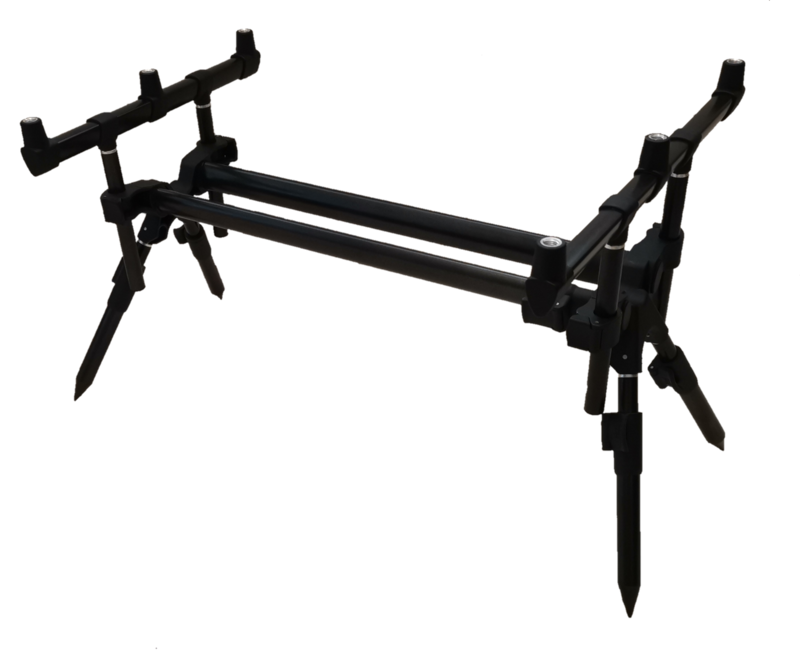 The four fixed legs simply fold out when assembling the Pod and screw into position making it quick and easy to set up and eliminating the chance of misplacing a leg. The legs also feature and extended point to allow the angler to push them into softer ground. When the need arises the multitude of height options (20cm legs extending to 31cm) allows the rods to be fished low to the water or up high to avoid marginal hazards or weeds. 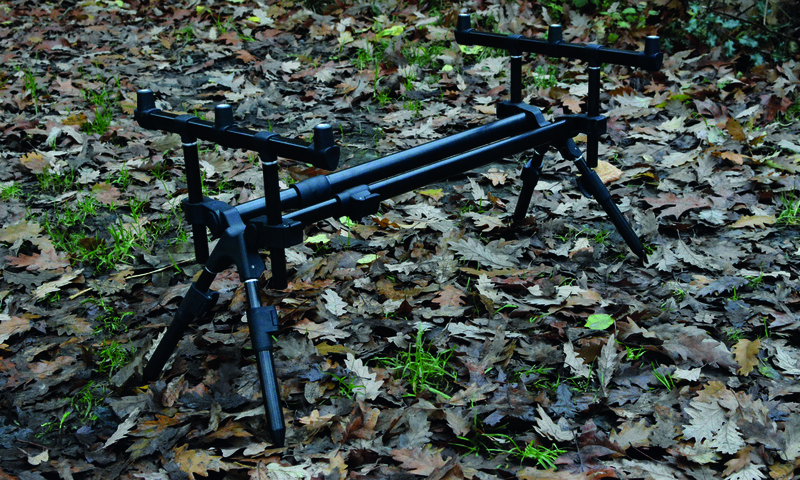 The Pod comes with two fixed 3 rod buzz bars and mounted on a goal post style set up that drops into the front and rear holes and locks into the position of your choice using the heavy duty quick release clips that are featured through out the pod. 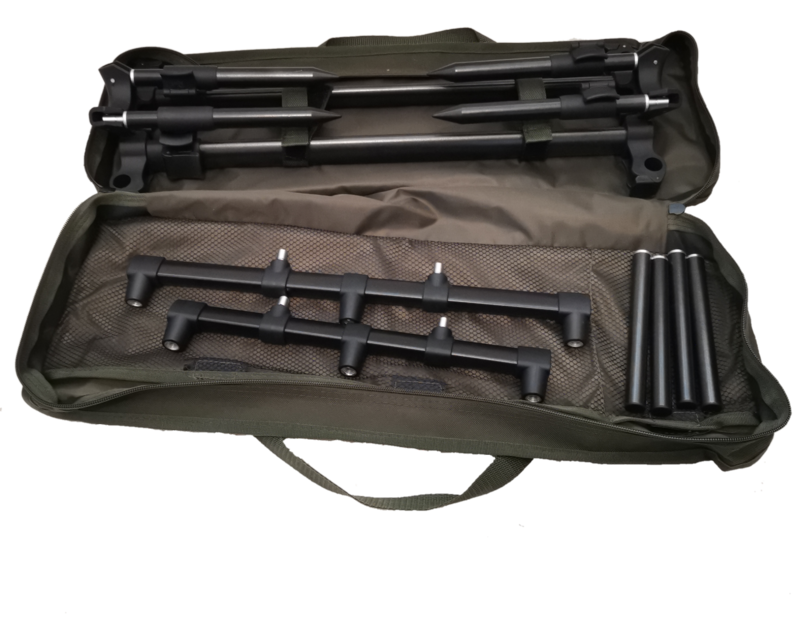 Supplied in a heavy duty 600d carry case. 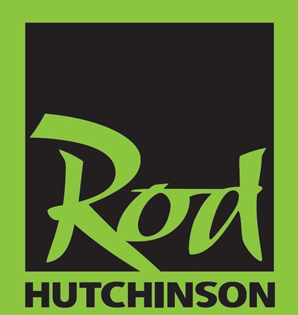 If you are looking for a Pod which provides exceptional value for money and covers a wide range of fishing situations look no further than Rod Hutchinson.